Giving season is upon us, and listen: from Secret Santa and Salvation Army bell ringers to Giving Tuesday and office potlucks, not to mention buying presents for people you actually love and care about…it’s a lot. A few bucks here, a little more there, it all adds up, and eventually, you can start to feel kind-of Scroogey. But what if we flipped that around a bit, and instead of focusing on the impact of all those holiday spends, we focus on how each small act of kindness adds up to lots more happiness in the world? The secret Santa gift you leave for your coworker could be just the thing she needs after a rough start to the week. The $5 you dropped in the red kettle could mean a hot meal for a homeless veteran. And the buttermilk pie you brought to Friendsgiving could be just the thing a homesick pal needs during the holidays. The little things we do, the ones that don’t seem that important on their own, well they are, so never underestimate your power to change the world. 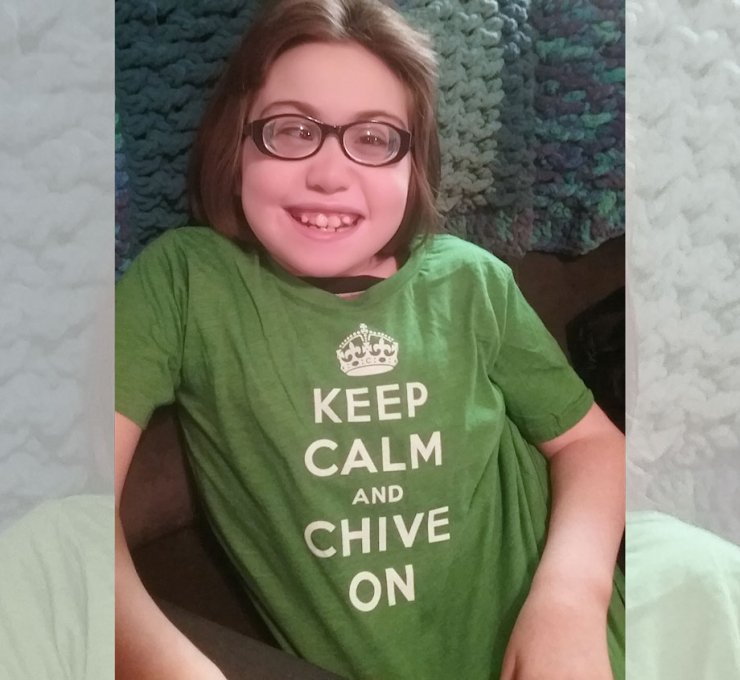 We say that a lot here at Chive Charities. Our team may be small, but together, we are mighty. Same with our donors – we count on the ones who give $10 each month just as much as the ones who donate more, because most of the grants we give wouldn’t be possible with one person alone. 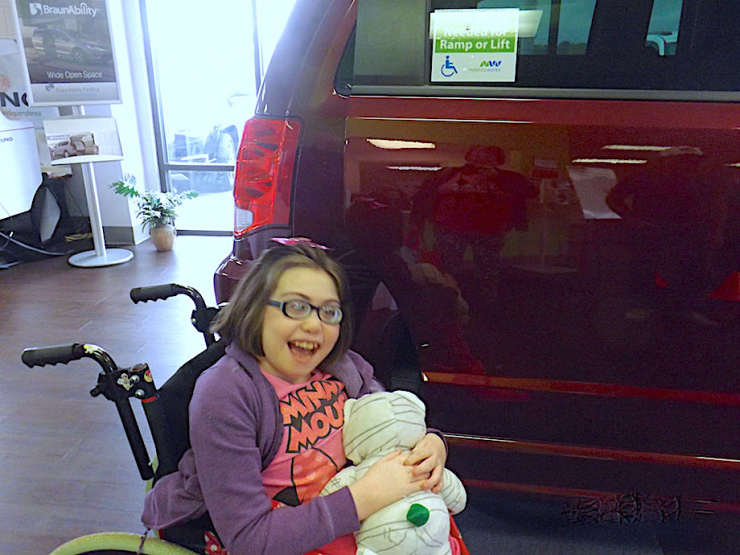 Grants like this one: $44,400 for a BraunAbility wheelchair-accessible van to help sweet Jamie Lynn live her best life. 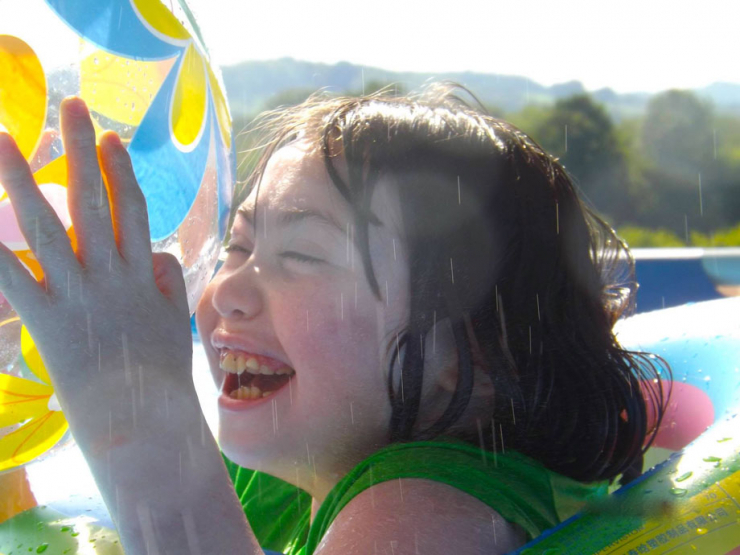 She’s had a long, hard road in her short 11 years, but she’s also experienced so much kindness, big and small, that made her the spunky, happy kid she is today. 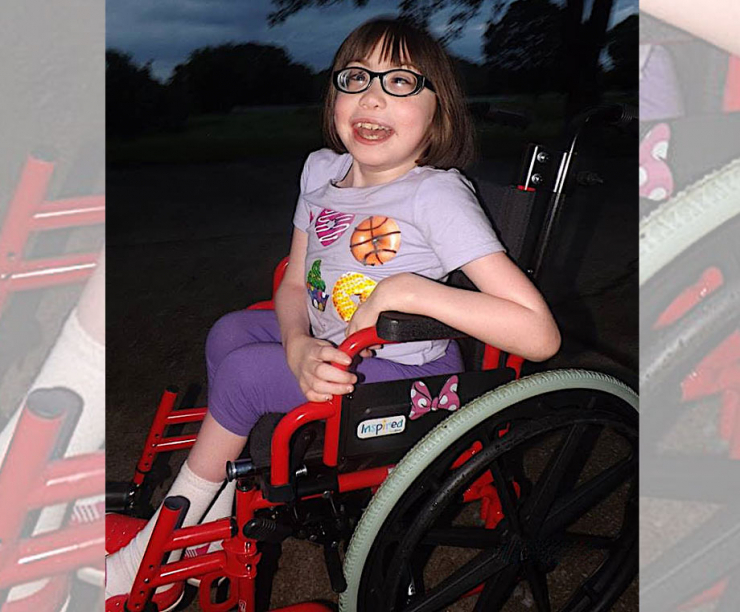 When Jamie Lynn was born in August of 2007, doctors knew right away something was wrong. 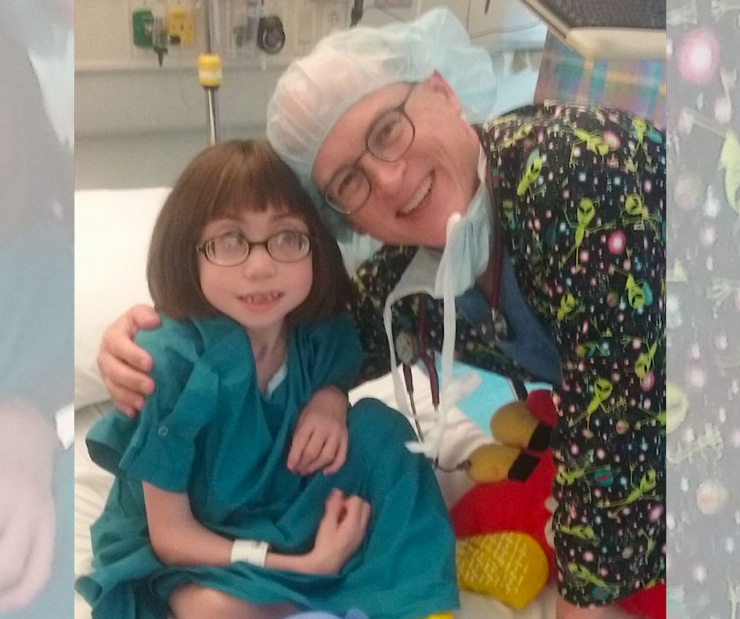 They noticed abnormalities just about everywhere – in her bones, joints, vision, hearing, face, and skull – and they inserted a feeding tube when it became clear she would not be able to eat on her own. 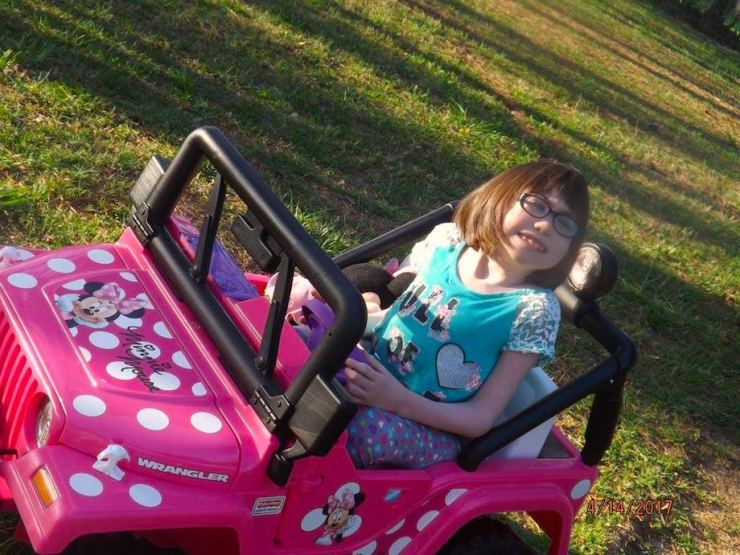 After much testing, Jamie Lynn was diagnosed with a laundry list of conditions, the main two being Kniest dysplasia, which causes dwarfism, skeletal abnormalities, and vision and hearing issues; and Stickler syndrome, causing underdeveloped facial bones and difficulty feeding and breathing. 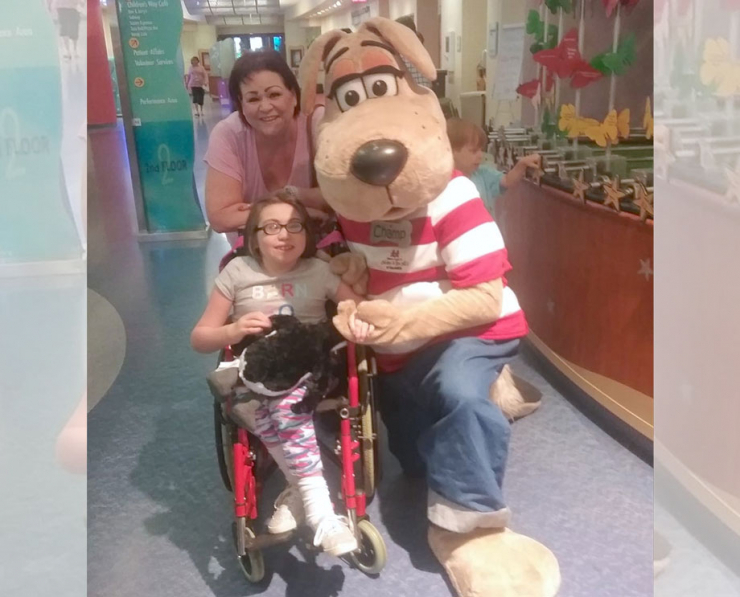 It seemed Jamie Lynn had nearly every symptom in the book, and caring for a special needs infant was a major struggle for her single mom. Fortunately, Jamie Lynn’s aunt Vicki was by her side, even when she was far away. In May of 2016, Jamie Lynn’s mother passed away suddenly from a blood clot. There was no family nearby to care for her, and Vicki realized if she didn’t take action, Jamie Lynn would be placed in the foster care system. 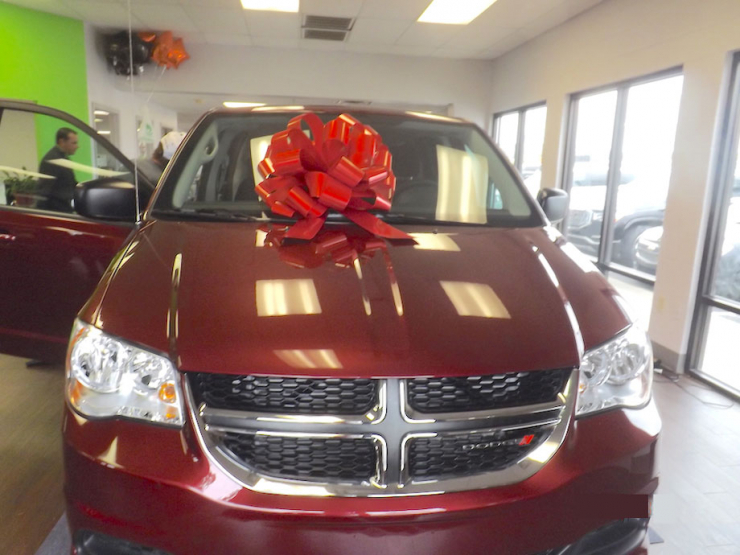 With no kids of her own, and no real experience caring for a child with special needs, Vicki jumped in her car and drove to Michigan to get Jamie Lynn. That’s what family’s for, right? It was much, much harder than Vicki ever imagined. 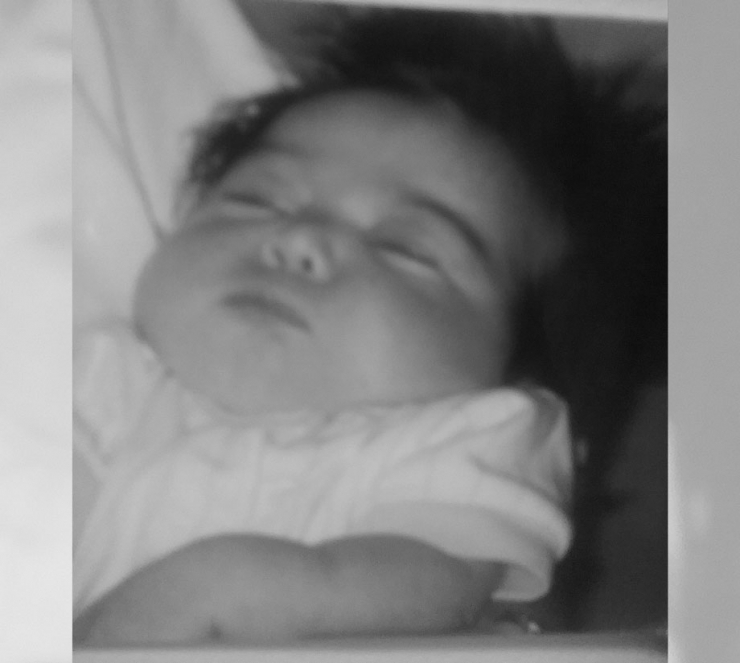 Jamie Lynn was underweight, barely spoke, and was afraid of pretty much everything. Vicki’s home wasn’t built to accommodate a wheelchair, both she and her husband had jobs, and her car was limping along on its last leg, completely unfit to transport a motorized wheelchair. None of it mattered – it was the right thing to do. 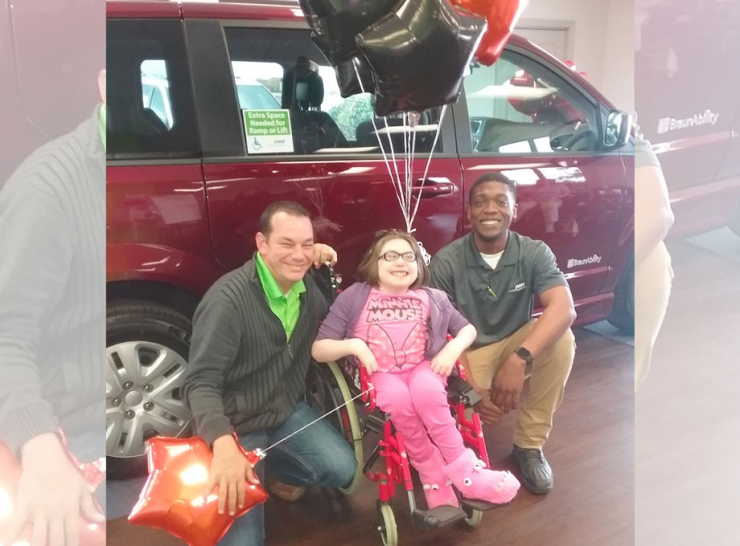 When Vicki reached out for help getting reliable, wheelchair-accessible transportation to keep Jamie Lynn on the right path, we jumped at the chance. 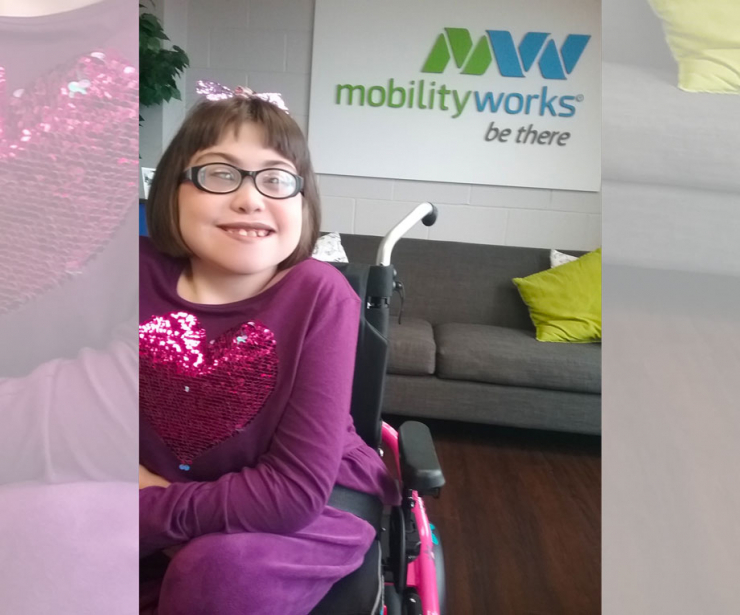 We approved her grant application and sent her to Mobility Works in LaVergne, where the staff promptly fell in love with her. Because of course they did. And then, the sweetest thing happened. “She asked for a burgundy van. She really, really wanted burgundy,” Vicki said. The problem is, burgundy isn’t very common in wheelchair-accessible vans, and the staff told Vicki not to hold her breath. They’d do what they could, but chances were slim. But it meant the world to Jamie Lynn. So, let’s get back to Scrooge McDuck for a moment. Yeah, he took a dip in his vault of gold coins once in a while, and yeah, he could be pretty tight with his money. But he also took in his nephews when they needed a family, put forth a little extra effort sometimes to make others happy, and he wound up a little less Scroogey because of it. 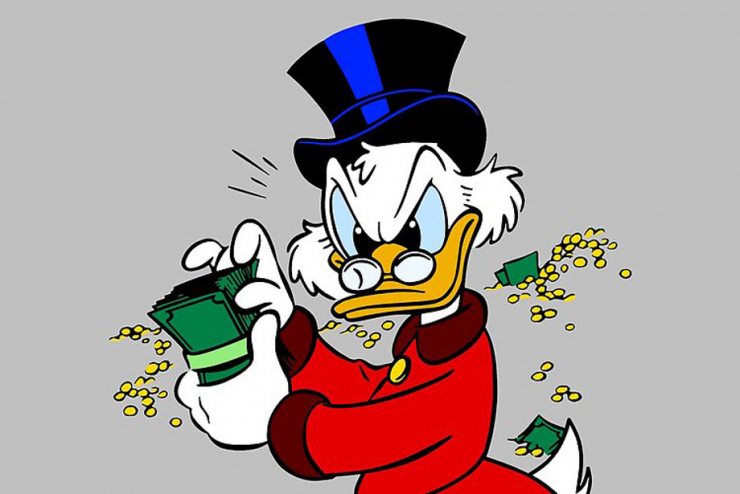 If Scrooge McDuck can do it, you can, too. Become a Chive Charities monthly donor RIGHT HERE and join the team making the world happier one act of kindness at a time.